Wesley Gamble is an also-ran, a lifeless drone whose descent into oblivion has been feverishly aided by his addictions. Tequila sunrises, liquid lunches and evening nightcaps fill the itinerary of his day, days that crash into one another in blurred chaos and delusion. Through a series of chemical induced missteps, he discovers a visceral and raw underground, led by a charismatic and dangerous man who will guide him to salvation and redemption-and perhaps an endgame that could crumble the shaky foundations of our society as we know it. Set against a gritty street aesthetic and punk rock backdrop, Throwaway Kids is a fast-paced, character driven tale that skewers our culture in a sometimes biting, often poignant, and always in-your-face fashion. 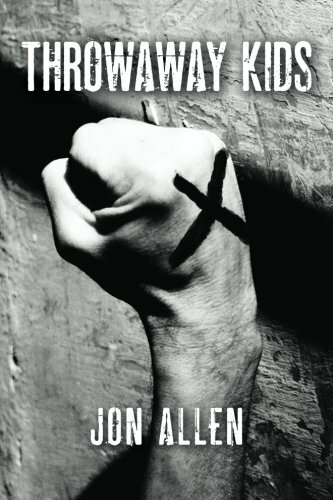 Crafted with a disturbing and edgy style, author Jon Allen&#x2019;s nihilistic vantage on what passes as normal in an increasingly lost society puts a chokehold on the reader while raising questions about an age-old grey area; right, wrong and the jagged little pieces in-between.